Stop by Paso Robles Downtown City Park on Thursday, July 30 from 7:30AM to 10:30AM and feast on free pancakes with all the trimmings. 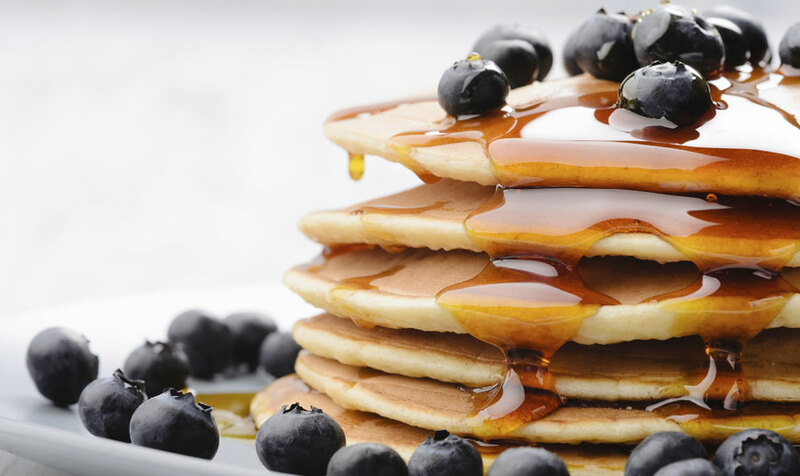 Whether you like your pancakes with butter, syrup, whipped cream or fruit, you’ll find an enticing morning meal that you can savor in the beautiful, open-air park. Enjoy a relaxed, family-friendly atmosphere at this annual event, which is the perfect place to catch up on old times and savor a stack of hot pancakes. Tickets can be found at any of the downtown merchants. You’ll find the Free Pancake Breakfast at Paso Robles Downtown City Park, located just 1.2 miles away from our inviting wine country hotel. Stay with us and enjoy plush accommodations, free deluxe hot breakfast, and a heated outdoor pool and spa. Our rooms and suites are spacious and comfortable, and feature a full array of modern amenities including 37” HDTVs, microwaves, refrigerators and blackout drapes. You’ll also have complimentary movie channels, high-speed internet, and morning newspapers. Book a Jacuzzi Suite for a truly special experience, and unwind in an attractive setting. Our pet-friendly hotel also features freshly baked cookies upon arrival, guest laundry facilities, and a 24-hour health and fitness center. Do you have questions about the Free Pancake Breakfast, about Paso Robles events, or about lodging at our nearby hotel? Please don’t hesitate to contact us today by calling 1 (805) 238-6500 for more information and to book your reservations. Plan your wine country escape and make the most of your summer.